Paris, France — In light of the 21st and most recent UN Conference of the Parties, the annual gathering to discuss and renegotiate global progress in climate change policy, thousands of activists from every corner of the globe converged on Paris to make their voices heard. 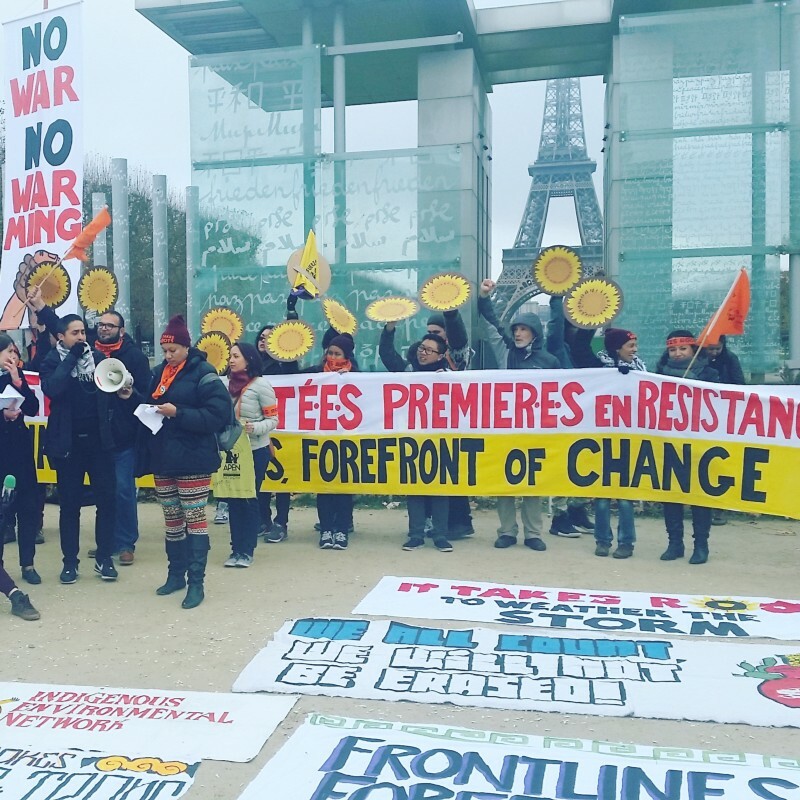 While the heads of state of 196 different countries came together in La Bourget, a conference center just outside of Paris, delegations and individuals from climate advocacy groups, frontline organizations, and civil society groups made their presence known across the city. I had the opportunity to visit Paris and represent direct action eco-defense on Turtle Island, as well as connect with and support friends (both old and new) in bringing their campaigns to France, the land of so-called “Liberté, égalité, fraternité” (“Liberty, Equality and Brotherhood”). The climate talks, as to be expected, were a total failure. Negotiations were held up in large part by the United States and Saudi Arabia, both of which have a vested interest in the continuation of our global addiction to fossil fuels. Saudi Arabia in particular has a history of working to water down or entirely dissolve global climate talks in an attempt to maintain its standing as one of the top oil-producing countries in the world. Likewise, the USA, whose military is the single largest emissions producer in the world and an intimidating global presence, and whose rich history of human rights violations would entirely derail this article were I to get into them, stood to lose a lot in the negotiations, and fought to remove human rights provisions from the finalized agreements. The finished product has the member nations agreeing to hold global temperature increase to “2°C…and efforts to limit…to 1.5°C”, but provides no measures for accountability to this figure. Rather, the agreement holds member nations to a “facilitative, non-intrusive, non-punitive” framework. This is not the climate policy we need from global “leaders”, but I can’t say I’m surprised. Global governance has no teeth when it comes to caring for the planet. Expecting this sort of agreement from world leaders, the organizations on the ground outside the conference planned to have the last say. Despite the state of emergency enacted in Paris after a night of deadly terrorist attacks in November, activists and organizers planned multiple public events throughout the conference, culminating in a massive march and rally on December 12th (D12). The “Red Lines” protest was put together by CoalitionClimat21, a coalition that included groups such as 350.org, Avaaz, OxFam, and the WWF, as well as several smaller organizations representing a wide variety of causes. 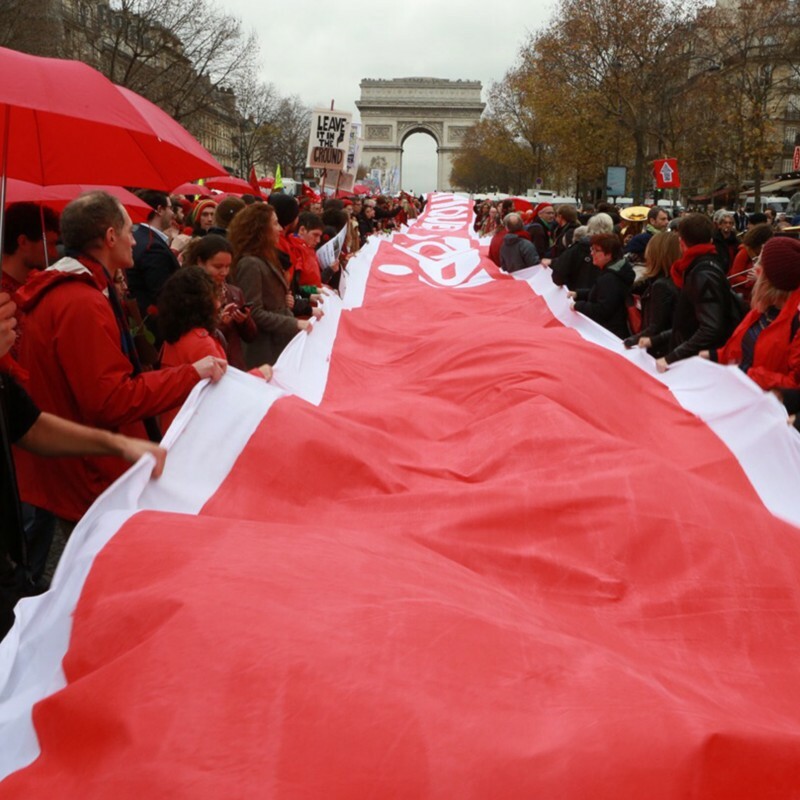 The Red Lines theme was a symbol for the “lines in the sand” in the climate struggle that we cannot afford to cross, the minimum acceptable conditions to provide a habitable planet, and was visually demonstrated by a 105m-long red banner, carried amongst a crowd of over 15,000 people dressed in red. Touted in promotions and in media coverage as being a bold move in a city that had banned public gatherings, this action was quickly called a victory by the mainstream climate movement; in my eyes, it was anything but that. In fact, the Red Lines protest completely sold out. The organizers of the action negotiated with the French government and police in order to stage this event. 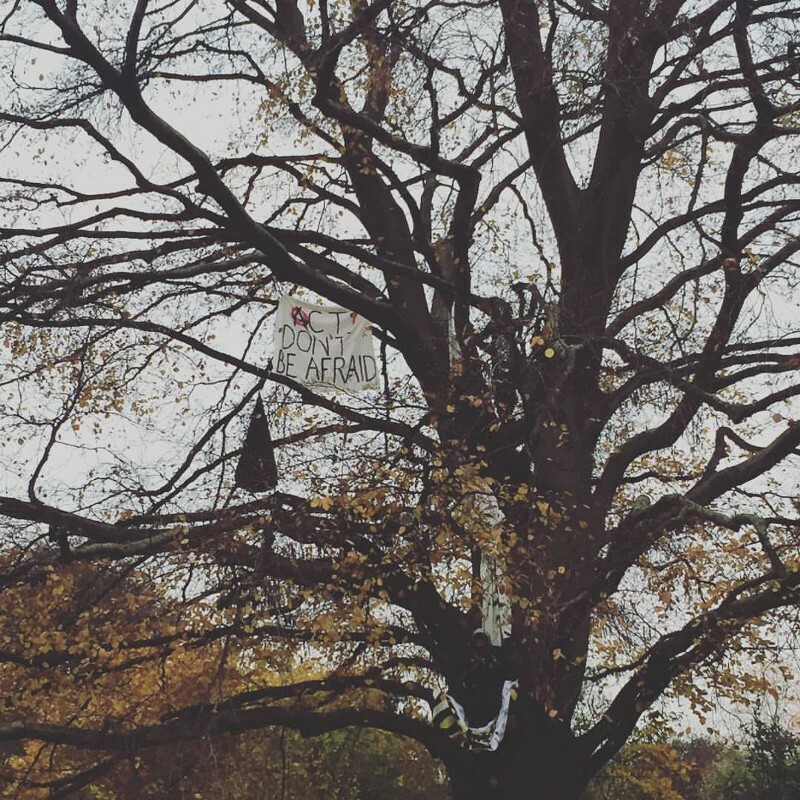 While initially intended to circle La Bourget, the culmination of this action instead circled the Champ de Mars, a park next to the Eiffel Tower, while participants were subjected to police scrutiny and bag searches in order to even get into the park. Talk about bold action in the face of repression! It is for this reason that I declare the “climate movement”, so called by 350.org, Avaaz, and their kind, as dead. Yet again, those of us on the frontlines of climate struggle, the indigenous land defenders, the people of color fighting police brutality, racism, and gentrification in toxic cities, the eco-warriors who put their lives on the line to defend forests, mountains, and swamps have been led astray by our own complacent “vanguard”. We cannot continue to expect anything from groups who are willing to negotiate with the state. We don’t have time for that. Militarism and climate imperialism are the driving forces behind a climate refugee situation with a death toll that is rising fast. State repression is forcing back real progress towards racial, social, and environmental liberation. Economic and social barriers are preventing poor neighborhoods from actualizing self-reliance and community resilience. “Climate justice”, a term that is so watered down as to be almost pointless by now, will NEVER come from making deals with the same forces that benefit from ecocide and oppression. The red lines we’re not supposed to cross? Big Green NGOs just threw them aside. Worst of all, we are bringing new people into this movement with the promises of change through these avenues, and we are imbuing the climate youth of today, the activist leaders of tomorrow, with a sense of oblivious optimism. Amidst chants of “We are unstoppable, another world is possible”, the world we currently inhabit is being bulldozed and our actions, protests, and voices are being surveilled, repressed, and silenced. But I feel that all is not lost. We are a diverse crowd, more than just the phrase “climate movement”, and we have many varying strengths and weaknesses. That phrase can no longer describe us, or show our true potential. We are fighting for so much more than the climate; we are fighting for survival of the planet and of ourselves. While the non-profits waving that “climate justice” flag continue their negotiations with the state apparatus, 7,000+ climate refugees are living at a refugee camp called “The Jungle”, located just an hour and a half away from Paris. Cherri Foytlin, a Louisiana-based author and activist, visited the Jungle to bear witness. According to her testimony, the connections between environmental degradation, militaristic violence, and economic disaster are stark. Imperialistic tendencies and the desolation of ecosystems are driving this crisis, and our on-the-ground struggles cannot afford to shake hands with the perpetrators of such global catastrophes. We are not ones to take lightly our position as a bargaining chip on the political table. I take solace in the fact that I was not the only person there to call out the non-profit farce for what it was. 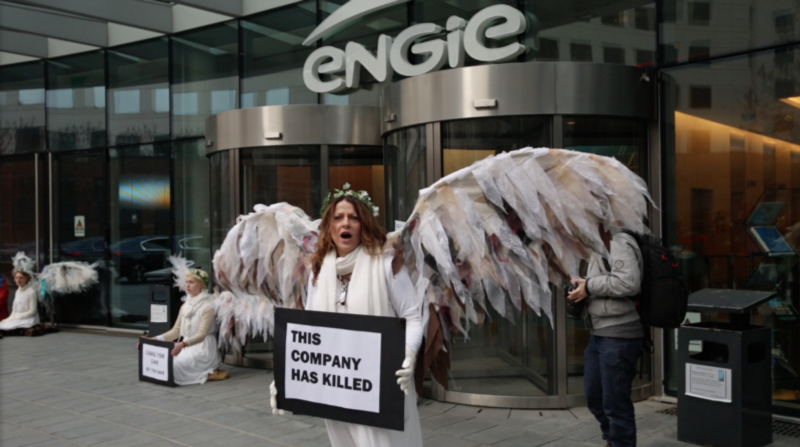 As Sean Bedlam, an Australian activist and videographer with Whistleblowers, Activists and Citizens Alliance (WACA) said that evening, “I am…stunned but not surprised that we were defeated in Paris today by our own people.” WACA, along with the Climate Guardian Angels (a group that I partnered with several times throughout COP21), led a charge to transform the Red Lines march into a massive action of civil disobedience, occupying the Pont d’Iéna bridge for over an hour. They were not the only ones feeling unsatisfied with the day’s planned events. 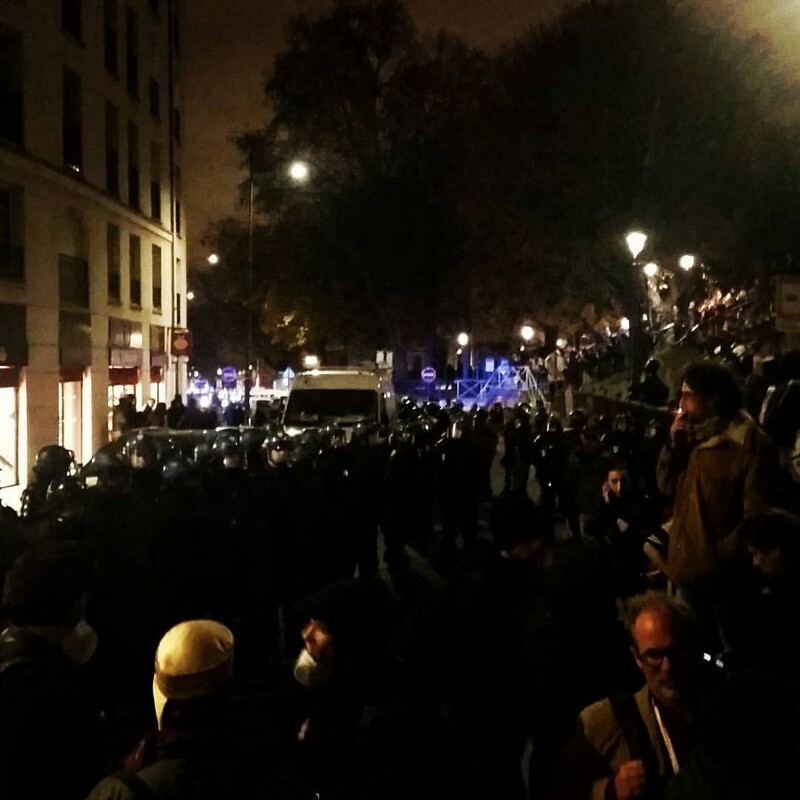 That evening, an unplanned and unpermitted march “for those who are fed up with green capitalism and state repression” tore through the streets of Paris. Employing black bloc tactics, people used autonomous action to express their rage and disappointment at a movement that had let them down and a system more interested in self-preservation than climate leadership. The unadulterated anger seemed a poignant counter to the policing that had happened throughout the duration of COP21. Hundreds of people screamed into the night, outraged at the house arrest of several local organizers, the arrests of over a hundred protestors at Place de la République two weeks prior, and the silencing of the voices of the frontlines in the negotiations, the voices that must be heard. Even when the tear gas cleared, activists were released without charges or even identification. During my time in Paris, I was constantly inspired by the work I saw represented by activists I met from across the globe. This is where I feel our strength lies: We will not progress, we will not save our planet by relying on mainstream NGOs to represent our interests, but rather by joining together our grassroots campaigns. Whether it was acting as a peacekeeper for the Indigenous Environmental Network and It Takes Roots (a coalition of several frontline POC and Indigenous environmental and social justice groups), providing media support for a European coalition treesit, or helping blockade the doors of a major Paris-based energy utility with Australians impacted by the company’s mining practices, the deepest connections I built and strongest friendships I made were forged by directly supporting the work of other warriors. It is the desire to continue to build those relationships that currently fuels the fire in my heart. It personalizes these struggles, makes them that much more real, that much more urgent. Our strengths come from ourselves and from each other, and the more we lend support in direct and meaningful ways to each other, the stronger our “movement” gets. As a network of small grassroots groups, all acutely aware of the dire situation we’re in, we are resilient and capable of building the future we want. We do not require the “leadership” of major NGOs who are interested in compromise. In a declaration put out by the It Takes Roots delegation, the failures of our climate leadership were juxtaposed with the need for our work to continue: “We leave Paris only more aligned, and more committed than ever that our collective power and growing movement is what is forcing the question of extraction into the global arena. We will continue to fight at every level to defend our communities, the earth and future generations.” It is that dedication that will save our planet, and nothing less. It turns out that the Amazon has been absorbing half our carbon and the particulate aerosols have been blocking 20% of sunlight/heat. Once rain patterns change to dry out the rain forest and it burns and releases that carbon or the pending economic collapse or whatever stops industrial and transportation activity and the skies clear ending the dimming that is holding the temp down 1-3 C, either way, the heat will jump up, the methane will boil out of the Arctic Ocean and it is game over. Too hot – too wild – no food – no fun. The longer it goes before that happens the more difficult it will be for any of us to survive. I say the sooner the collapse happens the better our chances for surviving the “cold turkey” phase of our carbon habit/addiction. If you thought that with the help of social media, we could take 6 months to coach and prep folks for it, great, I’m with you and have lots of ideas to share, but otherwise, we might just as well pull the plug and deal with it, as it will undoubtedly be worse later on. I believe that Indigenous people and ancient spiritual traditions say that a powerful fearlessness comes to us when we fully get that we are essentially not separate, nor just our bodies nor the lives we live on the Earth, but eternal and indestructible souls-spirits that are caring, cooperative, and joyful. Ducky Slowcode and friends seems like they already have plenty of good warrior spirit and armed with this great power, they might just succeed, whatever that will mean.